Home Pregnancy Tests Pregnancy Test FAQs Can A Positive Pregnancy Test Be Wrong? Can A Positive Pregnancy Test Be Wrong? Can positive pregnancy test be wrong? 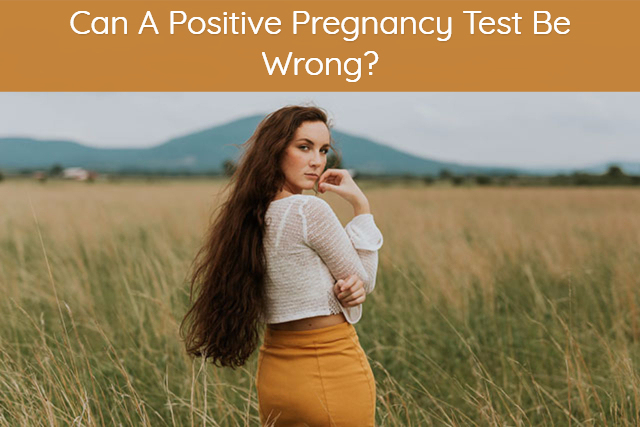 Yes, a positive pregnancy test can be wrong, a false positive pregnancy test. Most women await the big fat positive BFP. How common is a false positive pregnancy test? Rare without any underlying treatments such as fertility drug. There exists 1% chance of a positive result being false. Pregnancy tests are not as easy as they appear. There are many risks of getting a false positive pregnancy test. A pregnancy test can be wrong whether it is positive or negative. Pregnancy test instructions determine the accuracy of results. If you use a defective or expired pregnancy test, then you will get false results. How common are false positive pregnancy test? Faint positive pregnancy test: What does it mean? A positive pregnancy test is rarely wrong, but there is no guarantee. If you take the test too early after IVF, then chances of getting a false positive pregnancy test are very high. The reason is that during IVF treatments your doctor gives you fertility drugs that elevate the level of hCG in blood. If you take a pregnancy test after fertility therapy, then you will get a wrong positive pregnancy test. Similarly leaving the pregnancy test for long can give a false positive pregnancy test. Evaporation lines also cause wrong positive pregnancy test. A false positive pregnancy test is rare because there are very few things that can cause pregnancy test positive. False positive pregnancy tests are common only when the person has some hormone alteration. It may be because of ovarian cysts. Ovarian cysts cause the release of hCG. The pregnancy tests are qualitative and only detect hCG. An hCG pregnancy test doesn’t consider the source of hCG. After fertilization, the egg divides in the fallopian tubes and travels down to implant in the uterus. If implantation is successful placenta formation starts. The placenta releases a pregnancy hormone hCG that comes in the urine of a pregnant woman. Home pregnancy tests are qualitative and detect this hormone in urine. If the hormone is present, the dye changes the color and shows a positive result. In case of digital pregnancy test, a phrase, or a plus sign appears for positive results. But all positive pregnancy tests have a slight probability of being wrong. A pregnancy test is 99% accurate which means that it can miss out one pregnancy when detecting ten pregnancies. But this also means that even after it detects the pregnancy 1% chance exists that the positive pregnancy test is a false positive. A false positive pregnancy test is when you are not pregnant, but the pregnancy test shows that you are positive for the test. If a person doesn’t follow instructions given for the HPT, then she is more likely to fall into the category of the false positive pregnancy test. Some medications like antidepressants and antiepileptic drugs can cause a false positive pregnancy test. Food colors that color urine can also give a false positive pregnancy test. Chemical pregnancy and molar pregnancy are not viable. They terminate spontaneously shortly after conception and can give a false positive pregnancy test. Leaving a pregnancy test for long after result reading time is over, leads to the formation of evaporation line. These are marks left by urine after it entirely leaves the hCG strip of the test. Indent lines give a false positive pregnancy test. They are the marks of the hCG antibodies present on the pregnancy test. They are the detector particles of pregnancy test kits. A recent miscarriage gives a false positive pregnancy test. Recently terminated pregnancies don’t flow out as miscarriages as soon as aborted. If the placenta is still intact, then the fetus will be there. It takes time to get rid of the hCG levels from the body completely. Birth control pills or Mirena like IUDs can cause false positive pregnancy tests. Birth control pills alter the hormones in your body. Mirena crash is the syndrome after removal of the IUD. There is a rare chance that this may cause a false positive pregnancy test. A faint positive pregnancy test result indicates that your pregnancy is at an early stage. No matter how faint a positive pregnancy test is, it means that you are pregnant. The color intensity only depends on the duration of pregnancy. Faint has nothing to do with the validity of pregnancy test results. you are taking an HPT, you may make a mistake and see lines that don’t exist. Colored evaporation lines are a nuisance because they look just like a faint positive pregnancy test. But ideally, you need to duplicate the pregnancy test if you get a very faint positive pregnancy test. Next time use the same pregnancy test brand and follow the instructions more carefully. It could be that you are assuming that the pregnancy test is done a particular way and it is not. Thin positive pregnancy tests are valid results. A positive pregnancy test can be wrong but very rarely or under exceptional circumstances. Previous articleHow To Make A Pregnancy Test Positive? Next articleHow To Track Ovulation With Irregular Periods? What Does A Negative Pregnancy Test Result Mean?